Fans of a certain age will remember the days of going down to your local Chinatown or to your nearest late-night cinema venue and seeing the great film posters for the latest Kung Fu movies from Hong Kong. Sure we couldn’t read most of what was written but the artwork and composition of these posters drew us in to see the latest action-packed martial arts film. 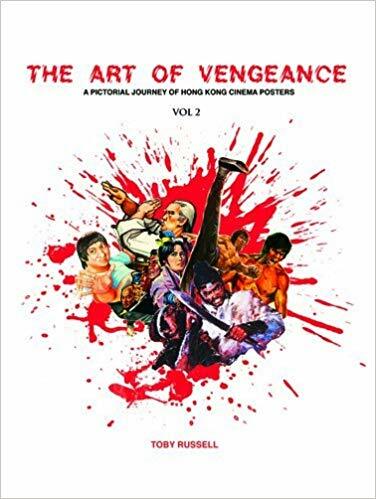 The Art of Vengeance Volumes 1 + 2 is a tribute to these great works of art, the posters that were all over Chinatown promoting the movies that we in the West were fascinated by. Author and Kung Fu cinema expert Toby Russell has collected thousands of these posters over the years and in these two volumes there are fabulous high res scans of the best of them, both volumes are jammed packed with these great images from the early 70’s to the end of that decade. 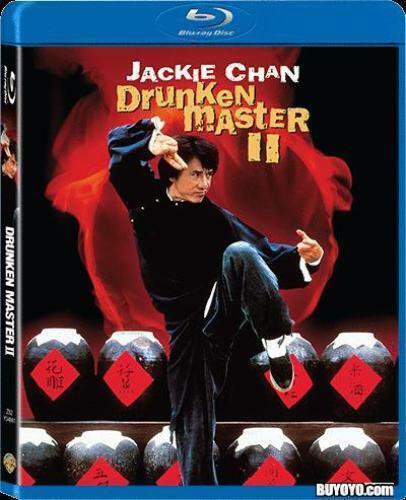 There are poster from the films of Bruce Lee, the Shaw Brothers studio and Jackie Chan but also more obscure movies from the independent companies. Not only have the books got these fantastic posters but also articles and interviews about the people that created them. Volume 1 has a fascinating article on artist Chen Zi Fu who admits he has “probably painted more film posters than anyone else in the world!” Volume 2 has an introduction as well as an interview with painter Yuen Tai Hung. 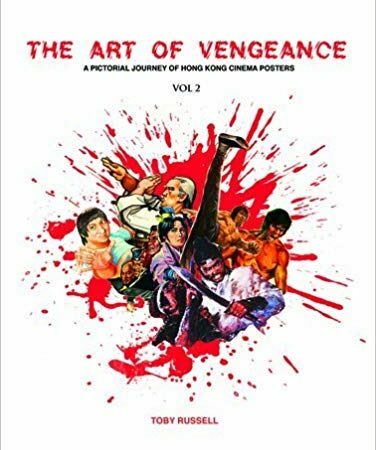 For any serious fan of Kung Fu cinema or cinema posters, in general, this book is a must-have. It brings back some great memories of the height of the Kung Fu cinema boom and as a pictorial journal of Hong Kong cinema posters, it cannot be beaten. There are previews of forthcoming books by Toby Russell including books on Horror /Fantasy posters, posters from the 80’s, production stills and lobby cards. If they are the same quality as these two volumes, I cannot wait. Note: Both these volumes are limited to 1000 copies so grab yours while you can.